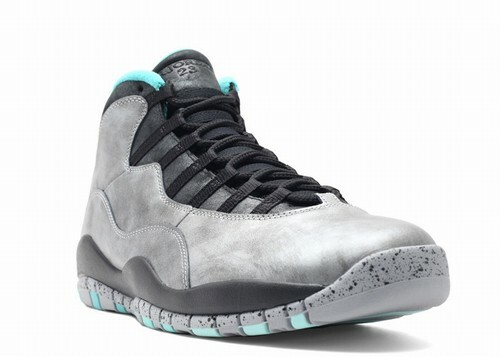 This is the Air Jordan X (10) Retro "Lady Liberty" edition which is a 2015 NBA All-Star weekend release. For the 2014 AS weekend Jordan Brand released the "Infrared 23 6's" which was a new all-Infrared Jordan 6 model, so this "Lady Liberty" edition will be replacing it for 2015. 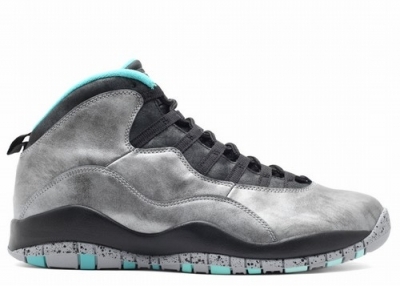 This pair is one of the new "Remastered" retries which features a high quality tumbled leather upper. In 2015 the NBA All-Star Game is taking placing in New York City, hence the "Lady Liberty" theme. 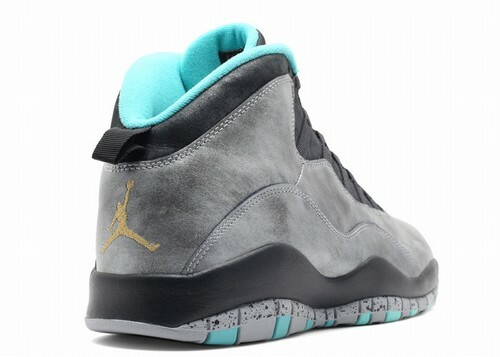 The teal accent on the inner lining and outsole is meant to reference the "Statue of Liberty" which of course is a New York City icon.